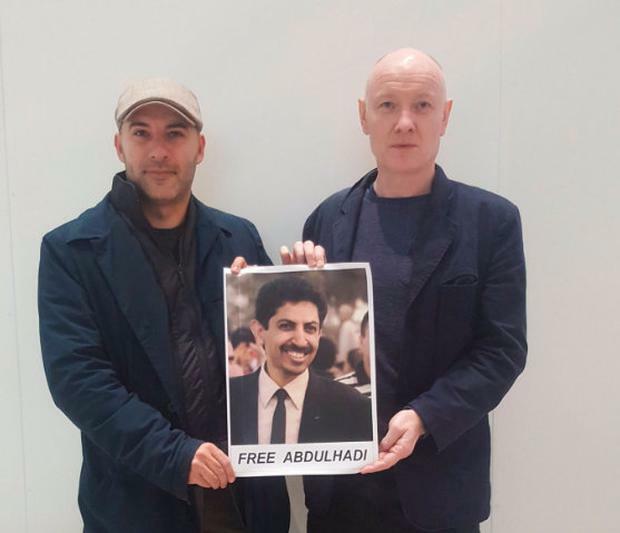 Ahmed Mansoor – the Emirates’ most prominent human rights defender – finally has been taken to court after a year in arbitrary detention [see: https://humanrightsdefenders.blog/2018/03/21/emirates-one-year-later-human-rights-defender-ahmed-mansoors-whereabouts-remain-unknown/]. The Gulf Centre for Human Rights (GCHR) has finally received information about Mansoor, including the surprising news that his trial had already started in March 2018. There had been no news about him since September 2017. The second hearing took place on 11 April 2018, and as Mansoor still has no lawyer to defend him, no details about the exact charges are available. 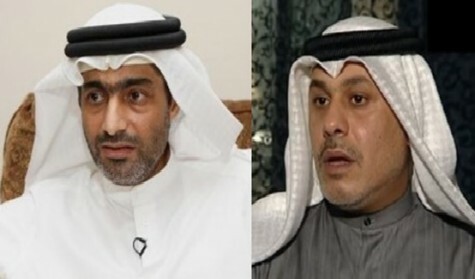 In the weeks leading up to his arrest, Mansoor had used Twitter to call for the release of human rights activist Osama Al-Najjar, who remains in prison despite having completed a three-year prison sentence in March 2017 for his peaceful activities on Twitter; as well as prominent academic and economist Dr. Nasser bin Ghaith. The latter, who was jailed in a previous case with Mansoor in 2011, was also held incommunicado for nine months after his subsequent arrest in August 2015. He continued to be held in solitary confinement after court proceedings began, remaining in solitary for 19 months. On 29 March 2017, he was sentenced to 10 years in prison for critical comments he had made online about human rights violations in the UAE and Egypt. On 2 April 2017, Dr. Bin Ghaith began a hunger strike to protest his sentence, which violated his rights to freedom of expression and fair trial. On 25 February 2018, Dr. Bin Ghaith began another hunger strike to protest poor conditions in Abu Dhabi’s notorious Al-Razeen prison, a maximum security prison in the desert used to hold activists, government critics, and human rights defenders. On 2 April 2018, GCHR learned that Dr. Bin Ghaith had been forced to end his recent hunger strike earlier due to threats made by the authorities to restrict visits after news of his protest became known…. Human rights defender Brian Dooley and Danish MP Rasmussen were not only refused entry into Bahrain but kept in the airport without a passport, reports the Irish Independent on 4 April 2018. Brian Dooley has been held alongside Danish MP Lars Aslan Rasmussen for more than 12 hours in Bahrain International Airport after they travelled there to visit jailed Bahraini-Danish human rights defender Abdulhadi al-Khawaja, a prominent pro-democracy campaigner in Bahrain, who founded the Gulf Centre for Human Rights and worked for the Dublin-based group Front Line Defenders. He received a life sentence in April 2011 for charges of terrorism and attempting to overthrow the government. The authorities in the United Arab Emirates (UAE) should reveal the whereabouts of prominent human rights defender and citizen-journalist Ahmed Mansoor and release him immediately and unconditionally, an impressive group of over twenty human rights organisations said on 20 March 2018. This day marks one year since security forces arbitrarily arrested Mansoor, winner of the Martin Ennals Award for Human Rights Defenders in 2015, at his home in Ajman. The UAE authorities have continued to detain him in an unknown location, despite condemnation from UN human rights experts and independent human rights organisations. The authorities have subjected Ahmed Mansoor to enforced disappearance since his wife last saw him in September 2017. They must reveal his whereabouts to his family and grant him regular access to them and to a lawyer of his choosing. Following his arrest on 20 March 2017, the authorities announced that he is facing speech-related charges that include using social media websites to “publish false information that harms national unity.” On 28 March 2017, a group of UN human rights experts called on the UAE government to release Mansoor immediately, describing his arrest as “a direct attack on the legitimate work of human rights defenders in the UAE.” They said that they feared his arrest “may constitute an act of reprisal for his engagement with UN human rights mechanisms, for the views he expressed on social media, including Twitter, as well as for being an active member of human rights organisations.” Since his arrest, Mansoor has not been allowed to make telephone calls to his family and has been allowed only two short visits with his wife, on 3 April and 17 September 2017, both under strict supervision. He was brought from an unknown place of detention to the State Security Prosecutor’s office in Abu Dhabi for both visits. The authorities have refused to inform his family about his place of detention and have ignored their requests for further visits. “The use of the judiciary in Bahrain to target human rights defenders and other activists” is a side event organised by CIVICUS and FIDH in co-operation with Americans for Human Rights & Democracy in Bahrain (ADHRB), the Gulf Centre for Human Rights (GCHR) and co-sponsored by ISHR. It will take place on 13 March 2018 at 11:00 to 12:30 at Room XXIV. The event will address the politicisation of the judiciary to criminalise human rights defenders. On 21 February human rights defender Nabeel Rajab, BCHR President and FIDH Deputy Secretary General, was sentenced to 5 years in prison under trumped-up charges in relation to tweets denouncing the torture against detainees at Jaw prison and exposing the killing of civilians in Yemen by the Saudi-led coalition. “This surrealistic verdict”, writes IFEX, “after a trial that was by itself a mockery of justice, illustrates once again the current crackdown on any dissenting voice in Bahrain, where scores of critics are currently jailed’. Also the Observatory (FIDH-OMCT) and BCHR reiterate their call to the Bahraini authorities to immediately release him, as well as all detained human rights defenders. Bucheeri said that Bahrain’s constitution stipulates the right to freedom of opinion and expression in an unquestionable manner and in a way that guarantees everyone’s right to express their opinion and disseminate it by word, writing or otherwise, but within the legal framework and without inciting division or sectarianism or undermining national security. He called on the Office of the High Commissioner for Human Rights to make concerted effort to understand the reality of human rights and the great challenges facing the Kingdom of Bahrain which faces terrorist acts aimed to destabilize its security and stability.